First post! I am not even sure if I was aware of this forum until today. I am not a very flexible person, so find even regular length guitars uncomfortable to play. 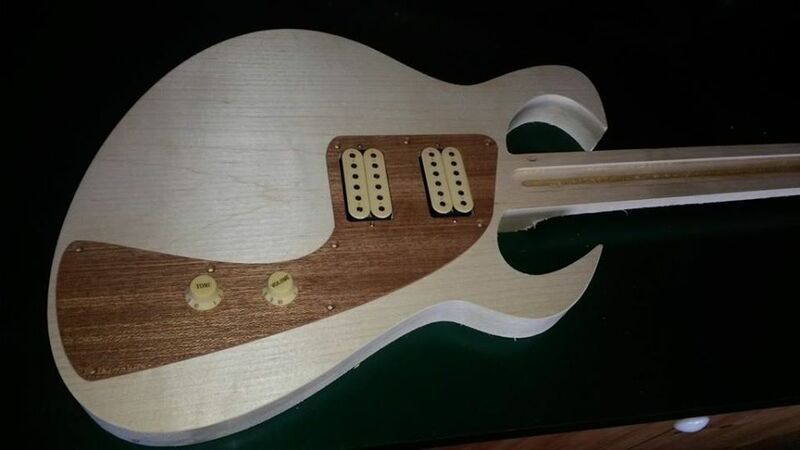 Here are some pics of a short scale guitar I am building. 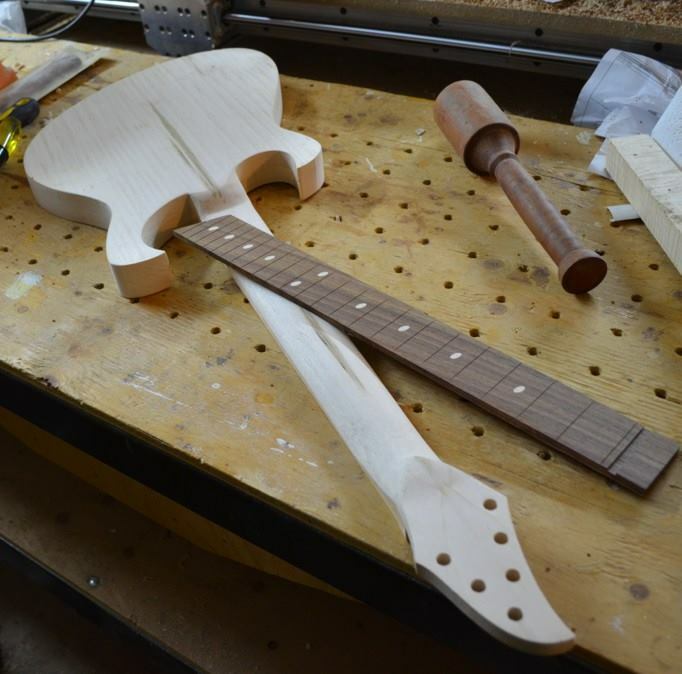 It's made from one piece of soft maple (except the fretboard). 24" scale, with a flat, wide neck - 2" at the nut. 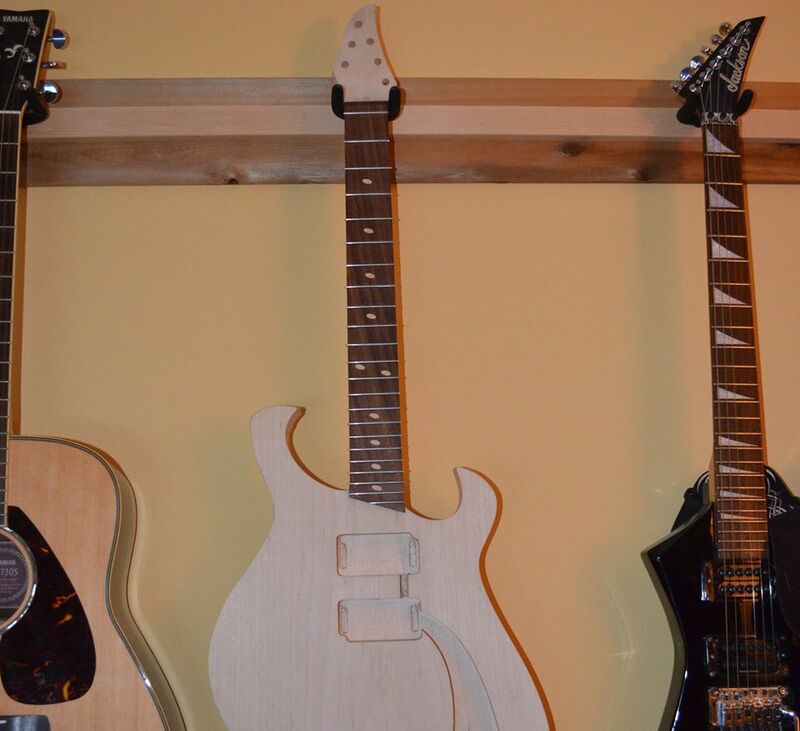 I wanted to try a few different things, so figured I'd build them all into one guitar. Fresh off the CNC. 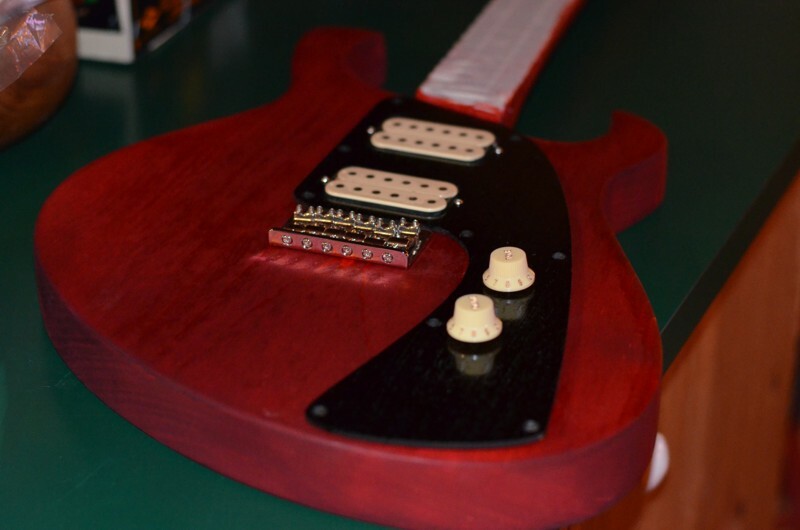 The drop on the headstock is more than needed, and the horns are too... horney. I am pretty sure frets past the 12th are just for show, but I suppose access to them shouldn't be painful. I ended up cutting them back later on. Mock up with a temporary pick guard I made from teak. I may reposition the knobs. There is a switch under there, but I am probably going to rewire just as two volume knobs - one for each pickup. 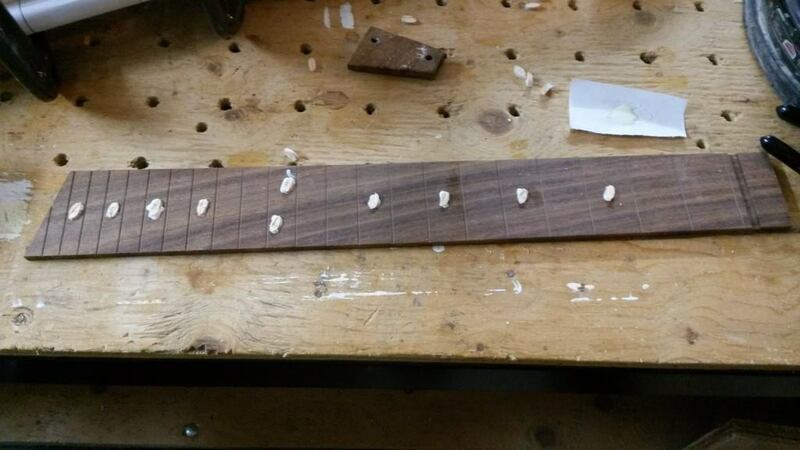 Rosewood fretboard with maple inlays. 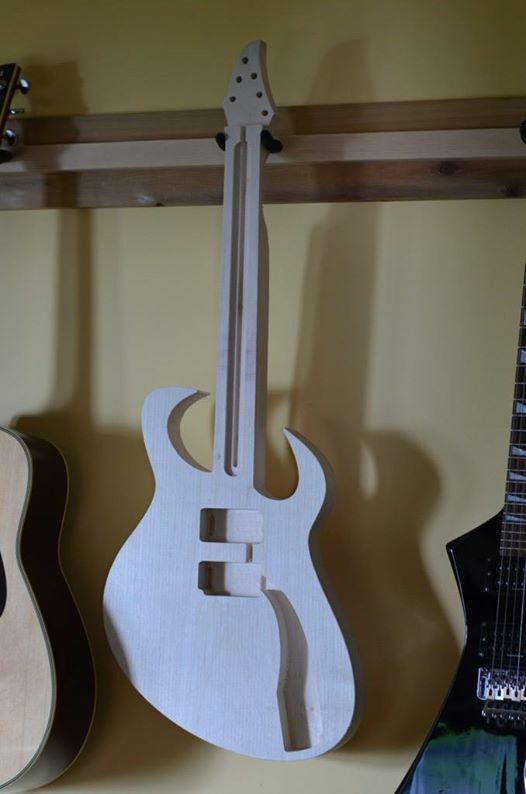 After carving the neck some, and sanding the fretboard. I don't have a bit small enough to cut fret slots, so I used a v-bit to start the slots, to be finished by hand later. You can see the cut back horns here. 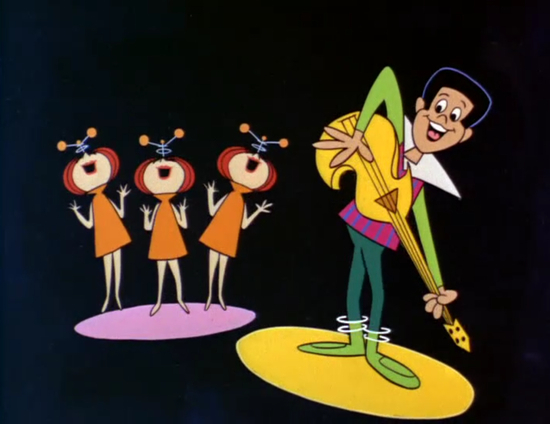 Frets! I filled the fret slots in with gel superglue the pressed the stainless steel frets in. They still need to be leveled and dressed. Nice stuff. I like wider flat necks too. Maybe not 2", but you gotta do what you gotta do. 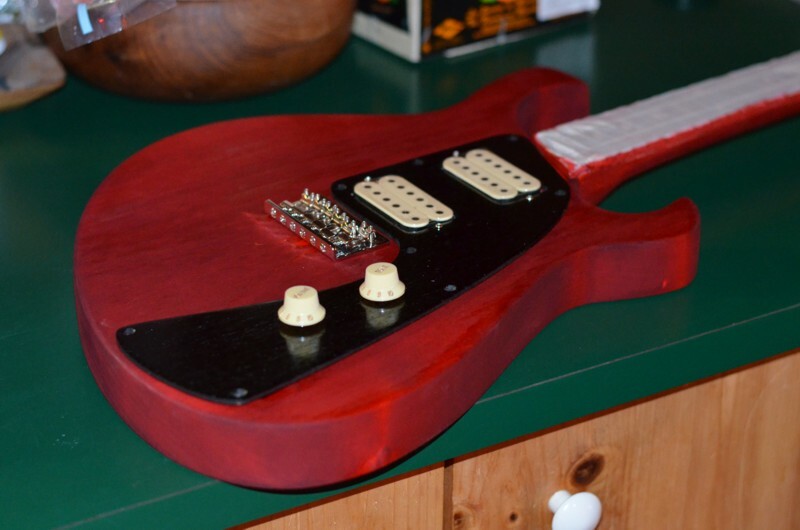 Trans red with glossy, black pickgaurd will look cool. Funny enough, the shape and colour I went with sort of surprised me as I like pointy black guitars for the most part. I got to the point that I just wanted to start on it, and I had this shape all ready to go. Pictures aren't working for me, which is a shame because I was quite excited by this thread the last time I was looking at it. Working for me. Looks kewl.